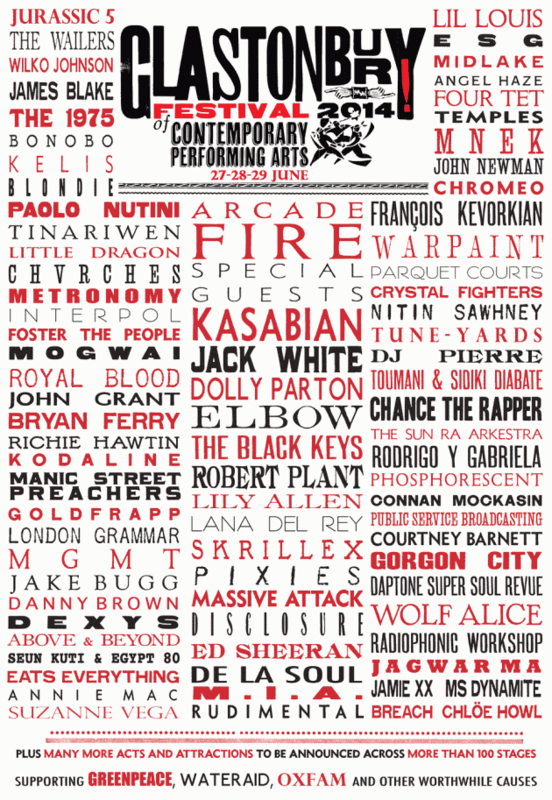 Glastonbury Festival have announced the first wave of artists for their 2014 event this morning taking place between 27th-29th June. Take a look at these and then try and work out who the headline ‘special guests’ are. There are more to be announced soon but rumours flying around that a Led Zeppelin line up could be the guests. Thoughts? Rumours also flying around that Shepard Fairey is doing artwork for the band right now for a forthcoming release.